"The suggestions that we might depart the European Union but leave one part of the United Kingdom behind, still inside the single market and customs union — that is emphatically not something that the UK Government is considering." A "humiliating" phone call from DUP leader Arlene Foster informing Mrs. May that they would not accept the British government's proposal to move Northern Ireland's customs border to the Irish Sea led to an abrupt end to Theresa May's discussions with Jean-Claude Juncker and a gap in Mrs. May's credibility. Sputnik asked academic Mark Garnett and author of 'From Anger to Apathy: The British Experience Since 1975' for his thoughts on the latest move by the DUP and what Britain's Prime Minister Theresa May's might do next. Sputnik: What's behind this move by the DUP? Matt Garnett: The DUP are very well known for being extremely tough negotiators. They're wanting to show that they are going to stick up for the interests of their supporters and that they do have a concern about of a future of Northern Ireland (NI) as a separate entity. They're trying to make sure that the final deal over the border is not one which suits the interests primarily of Southern Ireland, the Irish republic. What they're trying to do is maximise their current position in Britain's parliament where they hold the balance of power. It seems to me what they're doing is assert their strength without proper concern or understanding of the mess they're creating for poor Theresa May. DUP leader Arlene Foster speaks at her party's annual conference in Belfast, Northern Ireland, November 25, 2017. Sputnik: Is Theresa May under pressure because of the make up of Britain's parliament? 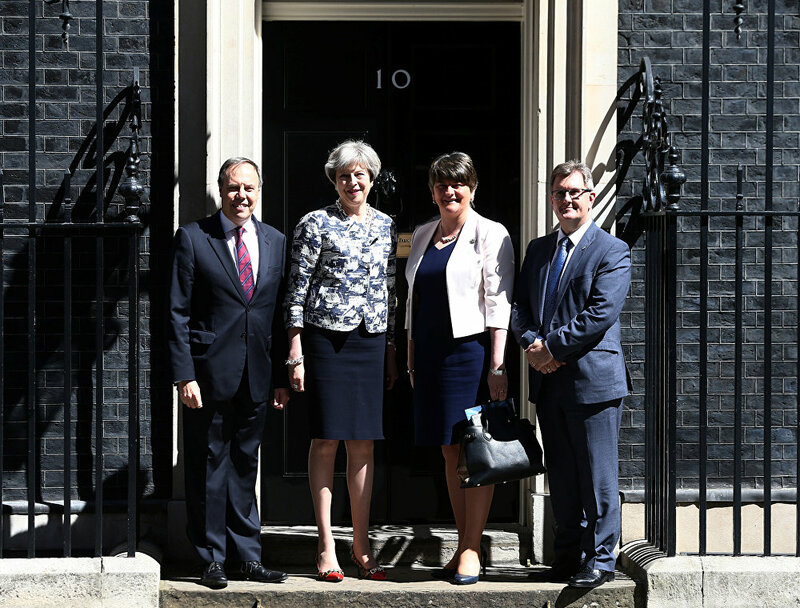 Matt Garnett: When the Conservatives made an agreement with the DUP following the recent general election, some of us thought there would be terrible trouble down the line and that the government was having to do this out of panic. The problem for the PM, is that she seems to be the puppet of a small parliamentary group. If it looks like only 10 MPs out of 650 are the people putting the Brexit deal in jeopardy, Theresa May's prospects for herself and her party recovering from this look very dim. The DUP don't want Theresa May's government to be replaced by a Labour government led by Jeremy Corbyn, so they're making life difficult for Mrs. May without pushing her over the edge. It's like multiple games of chess are being played and all the players are playing their own games. The only people have an overview of the entire situation is the European Commission (EC) but yesterday, they were wrong footed by the development. She thought she had a difficult life before yesterday — it's suddenly got ten times worse. Sputnik: What kind of concessions would Theresa May be willing to accept? 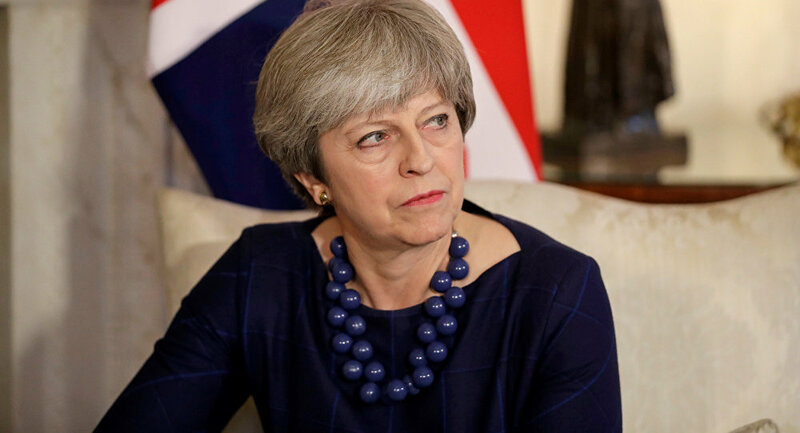 Matt Garnett: Mrs. May thought she had reached a compromise which would satisfy everyone but all the players have their own interests and a compromise that suits everyone is just too complicated. It's almost too clever a deal: the arrangement between the North and South of Ireland that would make make Northern Ireland a member of the EU — but officially not a member — but in practise regulations would be the same and there wouldn't have to be a hard border. That's the only arrangement that can hold, short of the whole of the UK staying in the customs union and single market and if that happens Prime Minister May will be in terrible trouble with her backbenches. It's all horribly complicated. The DUP might perhaps need to modify the deal that Mrs. May reached with EC so they can claim a victory. But the modification will probably have to be quite small. The DUP will have to feel that in battle they gained a great deal of political weight, with certain deals with the British government handing over money to Northern Ireland sped up at the price of [the DUP] backing down and suggesting that if they influence change, they'll back the deal. They'll march their troops to the top of the hill and march them down again. Having reached an agreement that the Commission will accept, Theresa May can't change that deal in its essence. Any big concessions to the DUP, she will lose support of the EC and the endorcement and support of Ireland which in this mess has a veto over the final deal. So you have all these players with weapons they can use so it's a question of who is the most skillful. Unfortunately the person with no weapons is the Prime Minister of Great Britain and Northern Ireland. Sputnik: Scotland, Wales and London state they want a special Brexit deal if Northern Ireland gets one, is that a realistic scenario? Matt Garnett: Yes it is, but there is no real threat that London can exit, London is run by a member of the Labour party and run by a Labour mayor. it can't threaten to leave the UK with any credibility. In Scotland, its a similar situation as the referendum was held not long ago, and the voters, I think, are still feeling they want to remain within the UK. In theory they have a great argument if Northern Ireland is treated different from the rest UK, then Scotland should have a similar deal, London which voted very heavily to stay in the EU should have a separate deal. In this situation, Mrs. May has shown she will only give way to people who can blackmail her. Scotland and London can't. 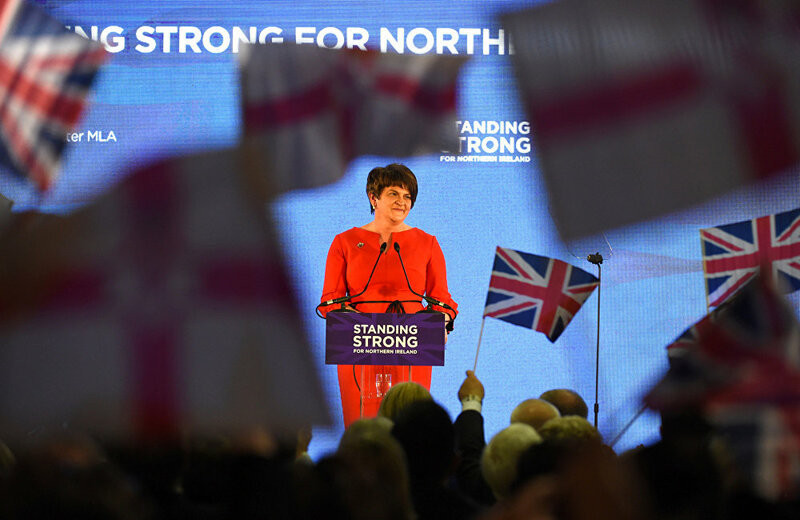 The DUP not only can — but will — because that's the kind of politics they thrive on. Sputnik: So it's ten people sitting in Britain's parliament that will determine the future of the Brexit talks? Matt Garnett: Yes. There are people in the Conservative Party who agree with the DUP and Conservative members who don't want Brexit to happen at all. Anyone who can calculate their next move is a cleverer person than me. Any concessions made on one side will annoy others. The referendum was very closely fought, in real terms this referendum was a draw. The General Election that followed made a very difficult situation infinitely worse. Theresa May is the only person who doesn't have any weapons, all she can do is put forward suggestions for a deal which pleases all the other players. But that takes the kind of skill beyond any politician who has every lived. Sputnik: What if she doesn't get an agreement? Is Tony Blair right to suggest another referendum? Matt Garnett: I think that the EU was playing a very hard game up until the last week, the EU has realised that Mrs. May is probably their safest bet, that she is the person who is the most flexible and prepared to make an agreement. The EU will be bending over backwards to try and make it seem there is a workable deal in place. But the talks broke down in the most humiliating way when the PM takes a phone call from a tiny party which has very little support outside its heartlands in NI. And it's with this phone call that the PM can destroy talks so carefully prepared by the EU. The EU will see how how weak she is and angry all this work has been undone. Utimlately, they want to keep Mrs. May in place. They don't see that any other leader could produce a better outcome for the EU. That is the only other solution from a hard Brexit but these deals are so fiendishly complicated, you can't please everyone. You can only see these deals breaking down.